Looking for a quality Bathroom Installation? Leeds based Doug Cleghorn might just have what you are looking for. At Doug Cleghorn Bathrooms we also offer a fully project managed bathroom and wet room installation service. Our bathroom fitters have a vast amount of experience and produce high quality bathrooms time after time. 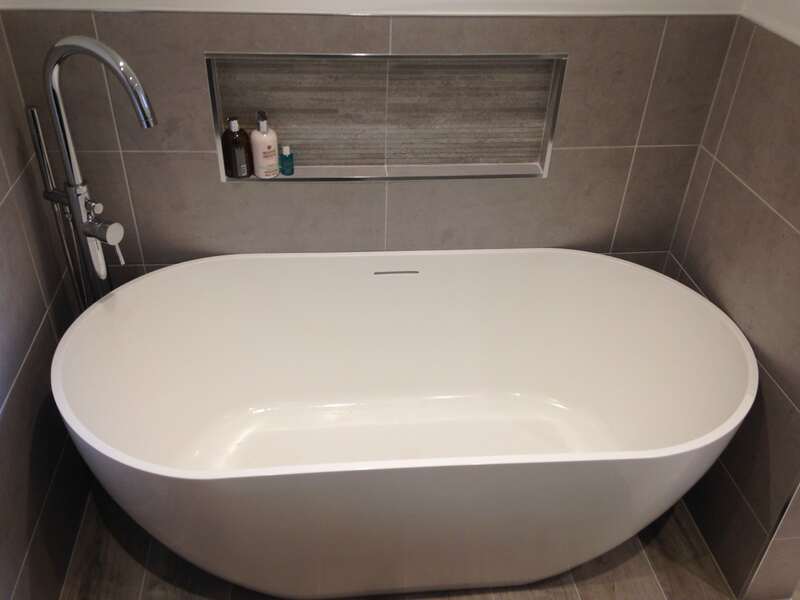 We provide our bathroom & wet room fitting services across Leeds, Harrogate and surrounding areas. It can be a difficult task to find a quality tiler, plumber and electrician, whilst carrying out the organisation of a bathroom project. Making sure everybody turns up when they are meant to, not to mention not having full control of the costs. All work is carried out by our multi-skilled bathroom fitters. This lets us ensure that the finished product is to the highest standard, and you have one point of contact all the way through. 1. Before your initial design visit think about the following. – Is your current layout sufficient? – Who is the bathroom mainly used by? – Would you like to enlarge your bathroom? – How could it be more functional? – Would you like that bit of added luxury such as mood lighting, speakers or even a television? 2. Get some design ideas. Have a look on the internet, in magazines, or even a hotel you have recently stayed at to give you some inspiration of colour schemes and the type of products you may want. This will let us design a bathroom that really works for you. With over 15 years experience in the design, supply & installation of bathrooms, Doug Cleghorn Bathrooms truly are bespoke bathroom installers. Leeds, Harrogate and the rest of Yorkshire are in safe hands when it comes to Doug Cleghorn Bathrooms.